The smoking, liquid-nitrogen treat called Dragon's Breath that kids beg for at kiosks at malls, fairs and festivals across America is dangerous to the point of being life-threatening, the U.S. Food and Drug Administration warned with a recent alert. Stop buying them for your kids, the federal agency said. 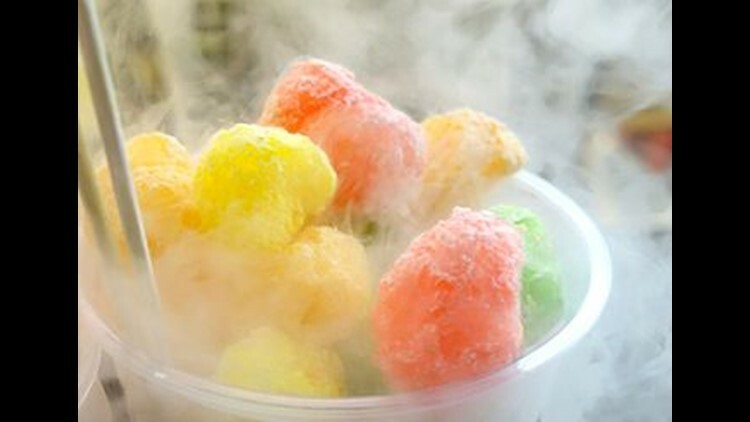 Dragon's Breath is puffy cereal that's been infused with liquid nitrogen. It produces smoke-like vapors that spew from the eater's nose and mouth, giving the snack its name. Also sold under the names Heaven's Breath and Nitro Puff, it is especially dangerous for children with asthma, the FDA said. Severe damage to skin and internal organs if mishandled or accidently ingested due to the extremely low temperatures it can maintain. Breathing difficulty by inhaling the vapor, especially among individuals with asthma. "The FDA has become aware of severe – and in some cases, life-threatening – injuries, such as damage to skin and internal organs caused by liquid nitrogen still present in the food or drink." Two months ago in Florida, a boy suffered an asthma attack after consuming Dragon's Breath. His mother, Rachel Richard McKenny, wrote in a Facebook post that her son suffered an asthma attack and was without his inhaler. They drove to a fire station, where he was administered a life-saving treatment. "PLEASE, if you know someone that has even just a mild case of asthma, do NOT let them have this snack. I should have known better, but it did not occur to me that this food could have this effect. As a result, my son could have died. Please don’t make the same mistake I did." In Pensacola, Florida, a 14-year-old girl went to the hospital after burning her hand while eating Dragon's Breath, reported ABC affiliate WEAR ABC 3. Liquid nitrogen becomes unsafe when it has not fully evaporated and can cause burns and frostbite-like injuries because of its extreme low temperatures. The FDA is asking that consumers consider reporting any injuries to MedWatch.